TOP: The original location from 1913- 1938.
and an unidentified couple. Young Carolyn Boyd is at far right. 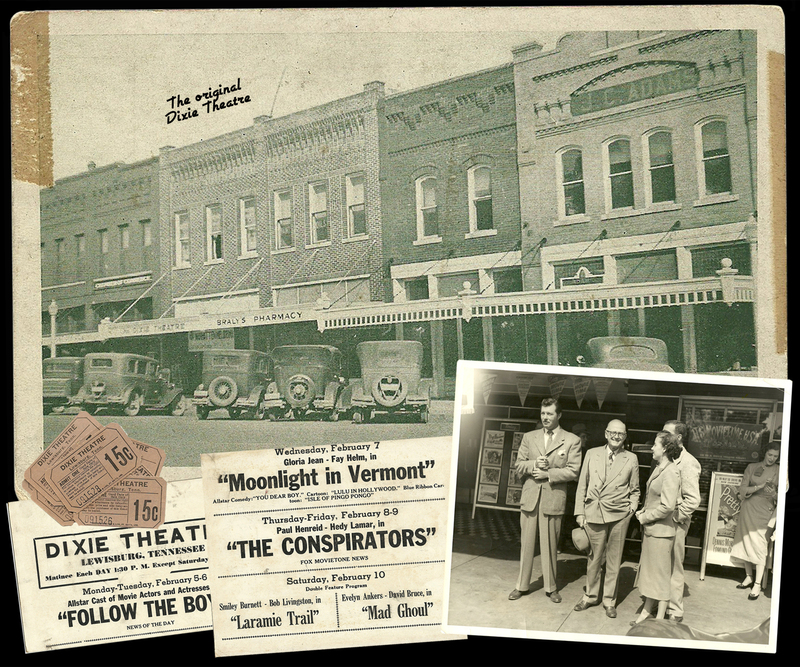 The Dixie Theatre was built in 1913 by M. P. Boyd as a silent movie house with an all-purpose stage. At that time, The Dixie was located on the east side of Lewisburg's public square. The building was renovated after a fire in 1924 and remained in business at that location until 1938 when it was moved to its present location on the north side. Renovated several times over the next forty years, The Dixie finally closed its doors to patrons in 1985. Marshall Countians have used the theatre's stage for plays, beauty pageants and talent shows. Many nationally acclaimed stars have graced its stage, including Al "Fuzzy" Saint John, Smiley Burnett, Tom Mix, Roy Acuff, Bill Monroe, and PeeWee King. A member of the James gang once delighted patrons with a shooting exhibition. 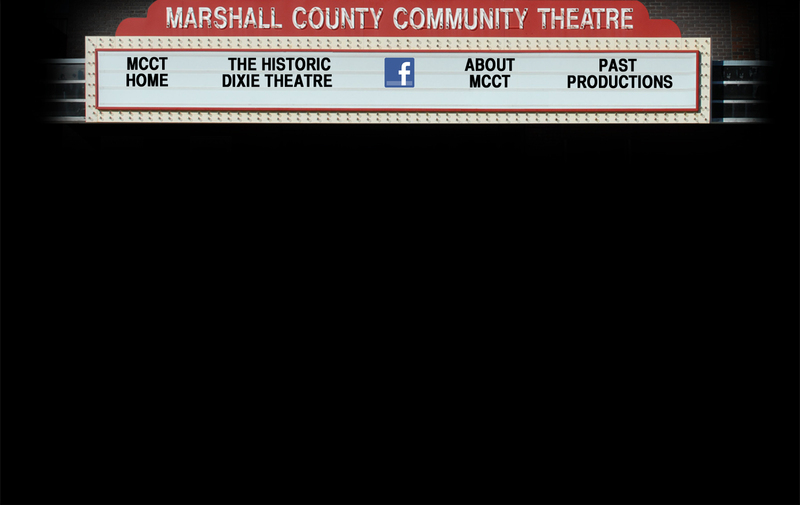 The Dixie was purchased by the Marshall County Community Theatre in 1994 and has been lovingly cared for since that time. Maintenance and upkeep on the aging structure are made possible through the generous annual support of the community. If you would like to play a part in the keeping The Dixie alive for the next hundred years, click here to download a contribution form! Your donation is tax deductible.